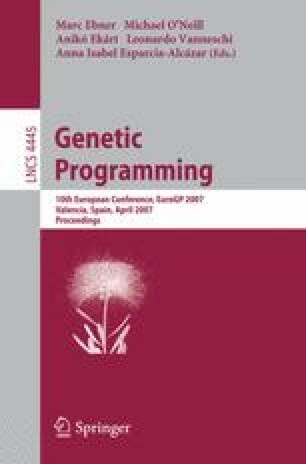 As is typical in evolutionary algorithms, fitness evaluation in GP takes the majority of the computational effort. In this paper we demonstrate the use of the Graphics Processing Unit (GPU) to accelerate the evaluation of individuals. We show that for both binary and floating point based data types, it is possible to get speed increases of several hundred times over a typical CPU implementation. This allows for evaluation of many thousands of fitness cases, and hence should enable more ambitious solutions to be evolved using GP.